Find more about different salt therapy methods of treatment, distinguish between them and be able to take an informed decision for your respiratory health condition. This therapy usually uses a halogenerator to create very fine rock salt particles that are dispersed into the salt room for breathing. The walls and floors of the salt room are also covered in rock salt. A session is about 1 hour in length and 2-3 or more people are relaxing or exercising in a room while breathing the salt aerosol. The cost of a session can be anywhere between $30-$60 and at least 6 sessions are recommended for lasting results. Being exposed for only 45 minutes – 1 hour at a time, the salt aerosol concentration is relatively high and it is controlled by the halogenerator. 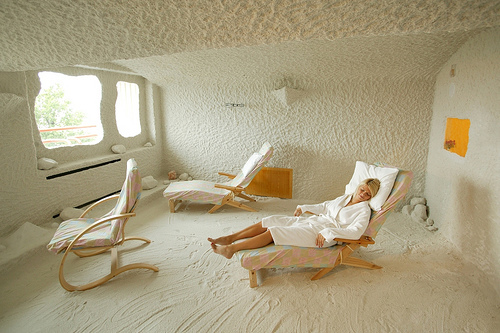 There are artificial salt rooms that do not have a halogenerator. The salt aerosol is created by brushing a salt brick with a steel brush to generate fine particles of salt. The concentration of salt aerosol here is usually lower than in halogenerator operated rooms. Exposure and cost are the same. Therapeutic effect is lower here than in a halogenerator salt room due to the fact that the length of exposure and aerosol concentration are not correlated. This is a small device that uses ultrasonic technology to create microscopic salt particles. These are released into the indoor air for long-term breathing. The salt aerosol is created from saline solution and it is similar with the seashore aerosol or the salt mine aerosol. 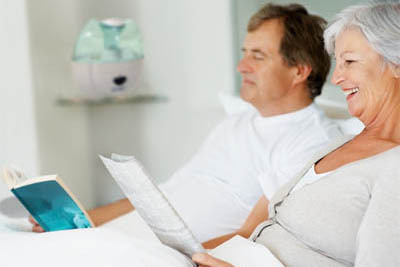 It is recommended to use the device during the night sleep, to offer 7-8 hours exposure, that is absolutely necessary in chronic respiratory diseases, for lasting results. The concentration of salt aerosol is correlated with the length of exposure in home use. There are no salt deposits on furniture and no bad effects on electronics. It can be used safely by people on low sodium diet or salt-free diet plan, as the salt particles deposit on the respiratory mucosa and are eliminated with the mucus. – Inexpensive – at $99.99 Saltair device has 1 year warranty; lifetime span is about 2 years, with good care 3-4 years. These are small hand-held devices made from plastic or ceramic, filled with rock salt. The rock salt inside generates micro particles of salt by rubbing against each other and inhaler walls. You have to breathe through mouth and exhale through nose, starting from 15 minutes a day and increase to 1-2 hours a day. – Sodium sensitive people should avoid shaking the salt inhaler every time they breathe through or use it for extended periods of time, especially in ceramic salt inhalers where more salt particles will be generated by shaking. – They are not suitable for small children, under the age of 5, because it needs active involvement of the user – hold it and breathe through it in a specific way. 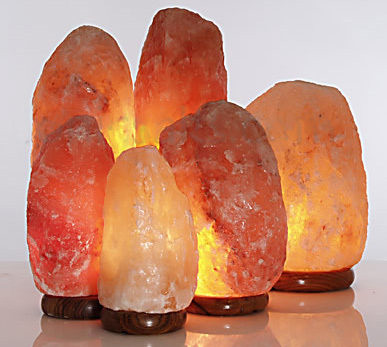 Salt lamps are made from different rock salt; they come in many colors and shapes. They have an esthetic look and provide nice, smooth light, looking good in a living room or bedroom. It is claimed that they release negative ions of salt once they get heated by the light bulb inside. However, it is known that natural rock salt naturally emit negative ions of sodium chloride. 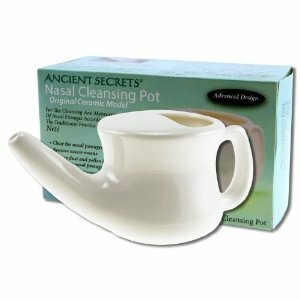 Neti pots are usually made of ceramic, glass, metal or plastic and have a spout near the bottom and a handle on the opposite side. They use saline solution to clean the nasal passages and sinuses. Using the neti pot the saline solution is introduced into one nostril and let it run through nasal cavities, using gravity and along with head positioning, while the mouth is open for breathing. The application of saline nasal spray is another technique but is relatively inefficient in washing mucus in the whole nasal cavity. A small amount of baking soda is used sometimes.